President Donald Trump speaks during a meeting with state and local officials about infrastructure in the State Dining Room of the White House in Washington, Monday, Feb. 12, 2018. In a statement, Republican Congressman Bruce Poliquin says while he is pleased the budget emphasizes national security, he shares the concerns about deep cuts to home heating assistance and programs that aid the elderly. 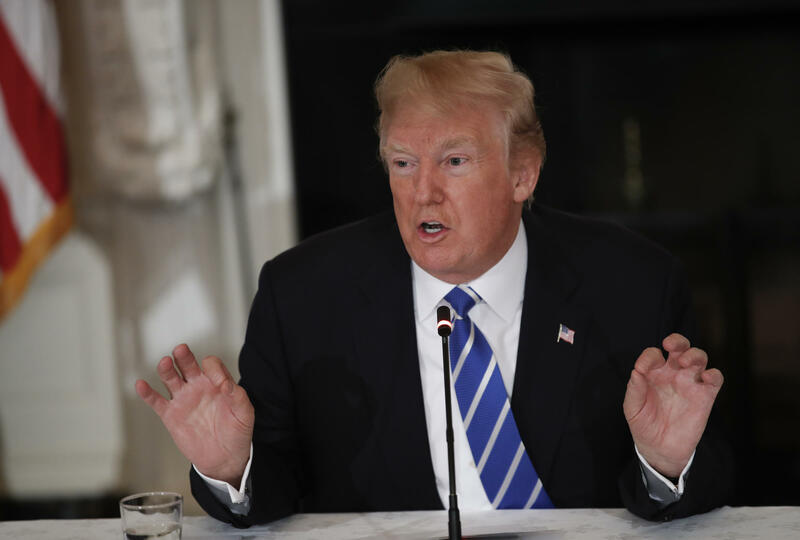 The Trump administration released a budget proposal Monday that beefs up military and border security spending, while slashing funds for domestic programs like the Supplemental Nutrition Assistance Program and Medicaid. Some advocates — like James Gagne, who heads the Veterans Housing Services at Preble Street — say they’re worried Trump’s budget could threaten many Mainers. Gagne works closely with veterans experiencing homelessness and he says SNAP is a lifeline for many of them.